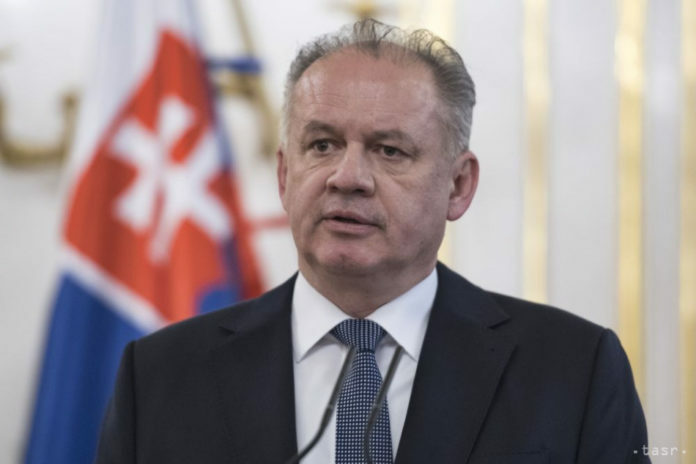 Bratislava, April 16 (TASR) – Slovak President Andrej Kiska will appoint on Wednesday (April 17) three new constitutional judges from eight candidates elected by MPs, with him doing so „in the interest of solving the critical state at the Constitutional Court“, TASR learnt from Kiska’s spokesperson Roman Krpelan. Ivan Fiacan, Lubos Szigeti and Peter Molnar should become the new constitutional judges. The president is also expected to appoint a chair and a vice-chair of the Constitutional Court. 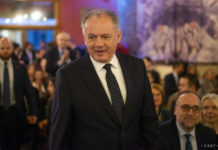 Kiska considers the appointment of the three constitutional judges to be an exceptional emergency measure to ensure the proper functioning of the Constitutional Court that will enable the plenum to sit and decide over, for example, election complaints. According to the president, both old and new pending cases are accumulating at the Constitutional Court. „The victim of the political games of the governing coalition and its inability to agree on candidates are specific people whose fundamental rights and freedoms the Slovak Republic isn’t able to effectively protect today,“ emphasised Kiska, adding that it is the duty of MPs to choose ten candidates for the post of constitutional judge in May. The president will also appoint a chair and a vice-chair of the Constitutional Court on Wednesday. President-elect Zuzana Caputova will be thus sworn in by a duly appointed chair of the Constitutional Court. MPs elected eight candidates for constitutional judges in April, and the president was supposed to choose four from them. At the moment, there are four judges at the Constitutional Court, while the full number of constitutional judges is 13. Parliament should have elected 18 candidates and offered them to the president. However, the MPs weren’t able to agree on such a high number. MPs thus have to vote again. The next election of candidates for constitutional judges will take place at the parliamentary session that begins on May 9. Lawmakers will be selecting from 25 candidates.